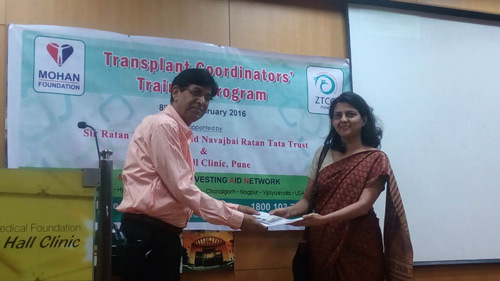 A one week Transplant Coordinators’ Training Programme was conducted by MOHAN Foundation and ZTCC (Zonal Transplant Coordination Centre), Pune with support from Ruby Hall Clinic from 8th – 12th February 2016. 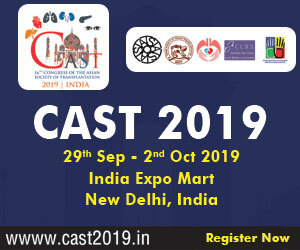 This programme was held in the R. S. Wadia Auditorium. There were 22 participants not only from Pune region, but also Rajasthan, Gujarat (Rajkot) and Manipal. 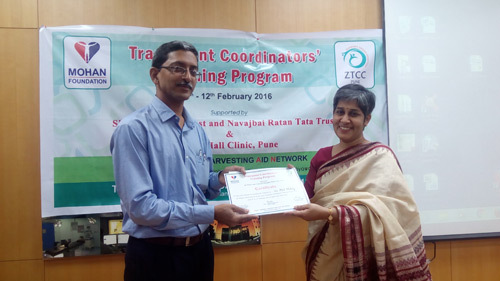 Ms. Arati Gokhale, Central Coordinator, ZTCC Pune was untiring in her efforts to bring the training programme to Pune. The training programme was inaugurated by Mr. Sarang Awad, IPS, ACP – Traffic, Pune. He said that he accorded a ‘Green corridor’ request from ZTCC, Pune the same status as that of a VVIP! 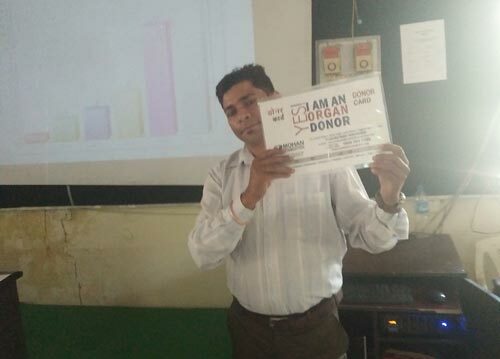 He was of the opinion that while it was important to conduct organ donation awareness sessions for the traffic police, it was equally if not more important to educate the rural and highway police. There was a need to have a Standard Operating Procedure, he added. 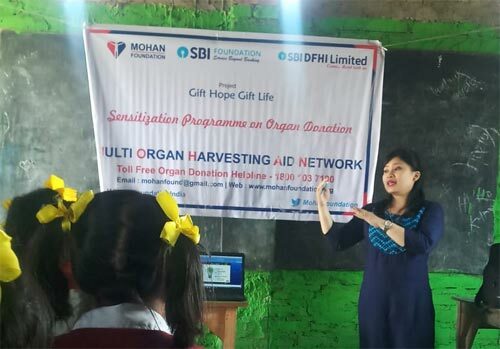 Mr. Bomi Bhote, CEO, Ruby Hall Clinic encouraged the participants to make the best use of the training as they were key figures in the organ donation process. 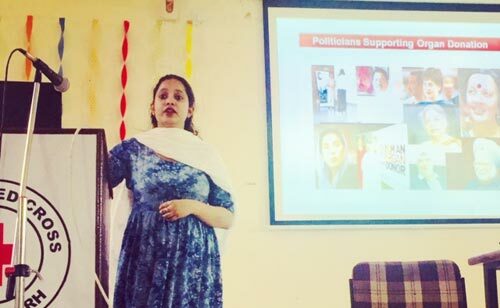 The highlight of the first day of training was a film ‘Phir Zindagi’ (Life Continues) produced by ZTCC, Pune. 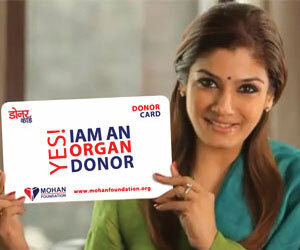 Eminent actors Ratna Pathak Shah, Naseeruddin Shah and Neeraj Kabi brought the concept of organ donation to life. In fact, a nomination has been sent for the National Film Awards 2015 in the non-feature film category. It was extremely motivating for the participants to listen to the expert faculty – Dr. Sushama Patil, Dr. Kapil Zirpe, Dr. A. G. Huprikar, Dr. Sheetal Mahajani, Dr. Atul Mulay, Dr. Sangeeta Wagh and Ms. Arati Gokhale. 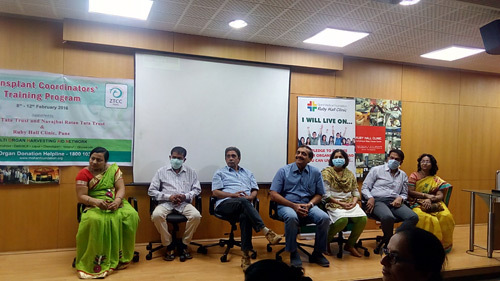 Senior transplant coordinators Mr. Anirudha Kulkarni from Jupiter Hospital, Mumbai and Ms. Surekha Joshi from Ruby Hall Clinic shared their experiences over the years with the participants, which was extremely beneficial. Mr. Kulkarni’s interactions with the police in medicolegal cases were especially enlightening. 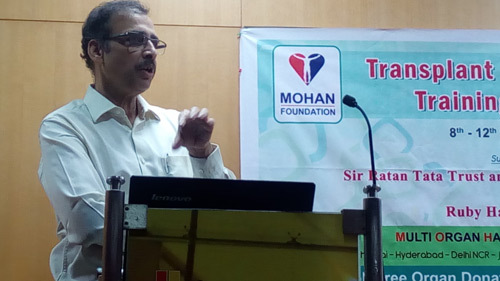 One of the participants, Dr. Sanjay Rakibe from Nasik shared the story of the first deceased donation process that he was involved with way back in 2002 when a liver was transported from Chennai to Hyderabad by chartered flight. 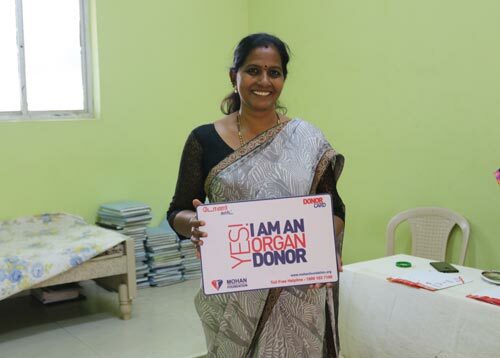 He shared the logistic challenges of transporting an organ at a time when the deceased donation programme was still in a nascent stage. 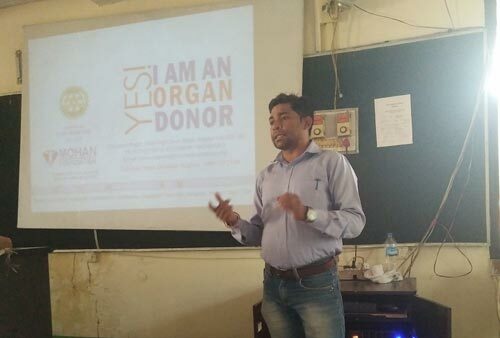 In the group activity, some of the participants performed street theatre on organ donation while some of the others came up with interesting posters on organ donation. At the valedictory function, Dr. A. G. Huprikar, Secretary, ZTCC Pune gave away the completion certificates to the participants. 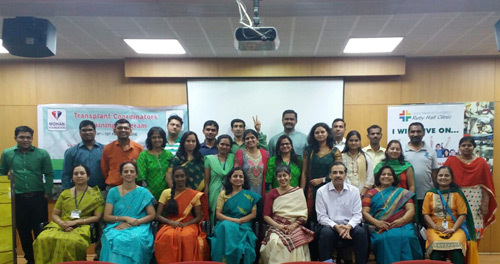 The MOHAN Foundation faculty comprised Dr. Sumana Navin, Course Director and Mrs. Sujatha Niranjan, Manager – Information Systems. 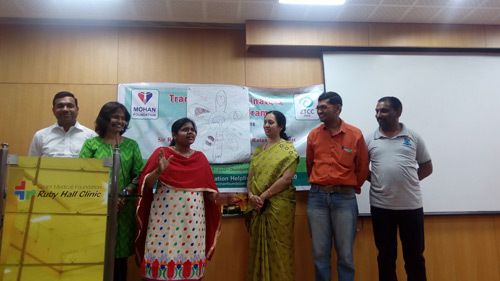 This was the 35th training programme conducted by the Foundation since December 2009 and supported by the Sir Ratan Tata Trust and Navajbai Ratan Tata Trust, Mumbai.